It's the 28th century and the international space station has become a peaceful sanctuary for thousands of different species to exchange knowledge and discuss different cultures. 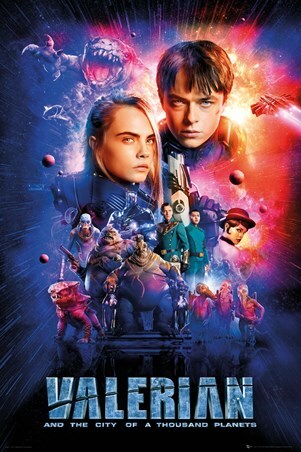 As a dark force looms and threatens to destroy the tranquillity of this vast metropolis, it's up to special Operatives Valerian and Laureline to safeguard the city! Featuring the majority of the characters from the 2017 film, Valerian And The City Of A Thousand Planets, this epic poster is a must have for any sci-fi super fan!